WoPC Home > Switzerland > Müller, c.1840-50. Playing Cards made by Müller, Diessenhofen, c.1840-50. Playing Cards made by J. Müller, Diessenhofen, c.1840-50. 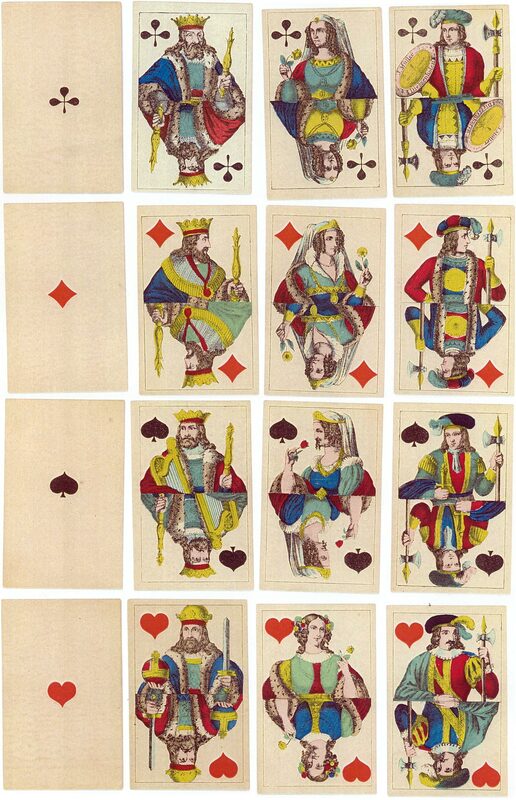 The court cards, which have been coloured differently at each end, are a regional variation of the French portrait officiel which had become fashionable.